Developers in Dubai are counting on Expo 2020 to generate demand for the properties that are scheduled for handover in the upcoming years. “The Expo is expected to receive up to 300,000 visitors a day when it opens, while also creating around 300,000 new jobs and attracting new residents to Dubai. According to recent JLL research, as many as 34,000 homes could be completed this year, with another 28,000 due for completion in 2019. I believe that demand in the real estate sector will resurge, particularly as we approach Expo 2020,” Talal Moafaq Al Gaddah, CEO of Mag Lifestyle Development, told Khaleej Times in an interview. Mag 5 Property Development (Mag 5 PD) were among the pioneers of mid-tier housing when it launched units in the Mag 5 Boulevard, its community in Dubai South. The developer recently launched Mag 5, the third phase in Mag 5 Boulevard, with studios priced from as low as Dh310,000, one-beds at Dh410,000 and two-beds at Dh510,000. “Mag 5 Boulevard, our value housing project in Dubai South, will be delivered months earlier than expected as construction work continues to progress ahead of schedule. The first phase was due to be handed over in Q4 2018, but we now have a Q3 2018 delivery date in sight,” said Al Gaddah. Meanwhile, the developer is also busy with other recently launched projects. These include Mag Eye, the only fully gated community in Meydan District 7 where fully-furnished studios are available for Dh490,000, Mag 318 in Business Bay with views of the Dubai Water Canal and MBL Residence in Jumeirah Lakes Towers. “We have witnessed a high level of interest in these projects. The percentage sold in these projects is as follows: 70 per cent for Mag 318, 88 per cent for Mag 5, 15 per cent for MBL Residence and 20 per cent for Mag Eye,” the CEO added. The developer recently announced two new projects in Jumeirah Village Circle worth Dh300 million. More projects are likely to be announced later this year. Currently, MAG Lifestyle Development has a real estate portfolio worth in excess of Dh10 billion. “Our ongoing investment strategy, which was launched in 2014, will continue until 2020. A total of Dh15 billion has been allocated to the strategy and our investments have reached Dh9.8 billion so far,” Al Gaddah explained. 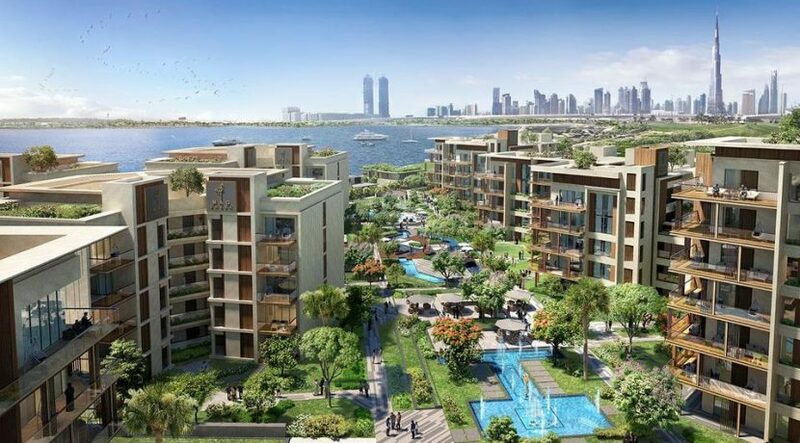 MAG Property Development also has plans for a gated community on the Dubai Creek featuring build and lifestyle elements focused around the wellness theme. Sales for the project have not been launched yet. “Our market knowledge confirms that investors are increasingly interested in this type of wellness-inspired development,” divulged the CEO. Despite the market seeing tepid sales, the developer insists it has multiple closed deals on full buildings and floors. Mag 5 PD has land parcels in both Dubai and Dubai South. Its development portfolio will include both luxury projects and value homes. “It is part of our mandate to make sure that mid-income investors have a chance to purchase property across the emirate,” Al Gaddah added. Speaking about the trends impacting the property market, Mag 5 PD’s CEO cited socio-economic housing for mid-income earners and proximity to key landmarks as the pre-eminent ones. “We don’t expect to see a huge increase in property sector prices. However, we anticipate positive movement, especially if the product delivered caters to investor requirements,” he reckoned.